Accepting Back-Up Offers!! On Veile Lake Park! Panoramic Flatiron views. Open kitchen, dining and living area. Master suite, 2nd & 3rd BR on main floor. Updated throughout incl gourmet kitchen, 2 gas fireplaces AND attached studio... perfect for Mother-in-Law, or Nanny unit. 2 car garage + 5 off street parking spaces!! Located in highly coveted Bear Creek/Southern Hills school district and close to Open Space trails, Table Mesa Shops and restaurants. 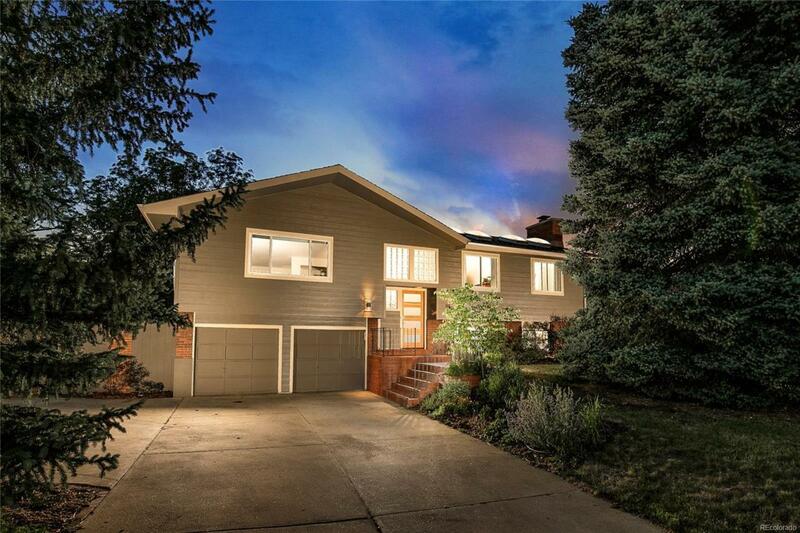 Private 9,365 SF lot with deck and enclosed brick patio perfect for entertaining. Be prepared to be wowed!